We just finished negotiating our renewal lease and I’m very happy with the results – a 23.3% increase for the first year and an additional 24.3% increase for the second year. Having just gone through the lease renewal, I thought it would be a good time to explain some of the aspects of long-term rentals in Argentina. 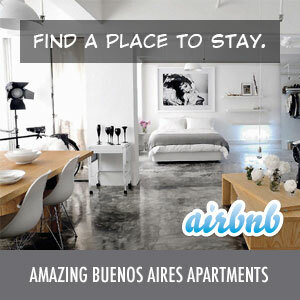 Let me start by saying that most expats are looking for short-term Buenos Aires rental properties. They need something for a short period of time, need furnishings, need utilities (impossible without a DNI), and do not have a piece of property to put up as a guarantee. They’ll end up paying significantly more for those options. When you’re here for the long term, you’re looking at signing a residential lease agreement. The standard residential lease agreement in Argentina is for two years. At the end of that two years, you’ll need to renegotiate the lease for another two years if the apartment is still available from the landlord. Security deposits work pretty much the same they do anywhere else. These are typically one month’s rent and returned 60-days after the end of the lease term provided no damages have occurred. Argentina has very strong tenant protection laws. For a landlord to legally get someone out of their property it could take several years (seriously). During that time, they would be losing the rental income from that property. To help balance this out, they require a garantia (guarantee). A garantia is basically another piece of property that you own (or a family member owns) that you put down as collateral and guarantees that should they have to sue you, they will have something to claim if they win. Typically landlords in Buenos Aires prefer that this property is in Buenos Aires as well. This is typically the single biggest obstacle for a foreigner to rent an apartment here as many do not have other property to use for the garantia. Some that are here with big companies get that company to put up the guarantee. Others get around it with paying 1 year+ of rent up front or making a much larger security deposit. There are a few options if you find an owner willing to work with you. As lease terms are two years and inflation is more than 25% a year here, you can expect a significant rent increase for the second year of the term. As I mentioned above, we negotiated a 24% increase for the second year which was pretty good. Some landlords try to add increases every 6 months though these are a bit less common. There’s pretty much no way around this. Expenses are typically extra in a long term lease. These expenses typically include things like building maintenance and staff salaries, ABL (property tax) and water bills. Depending on the size of the building and number of staff, they can be quite expensive. Our expenses are about 65% of our total rent and rise about 25% per year – in ine with inflation. You’ll also be responsible for utilities including electricity, gas, cable and Internet. To sign up for any of these services, you’ll need a DNI (the Argentine version of a social security number). Not having a DNI will make this impossible. If you used a real estate agent to find your long-term rental, you’ll pay a commission of one to two months of rent. The newspaper – classified listings are still king here. The Saturday paper has the biggest residential listings of the week. That’s the basics of long term renting in Argentina. If you have any other questions or info to add, let me know in the comments below.